Benzoin essential oil is derived from the natural balsamic resin excreted by several species of Styrax trees that grow in various geographical locations, but the resulting resins are all collectively known as ‘benzoin’. 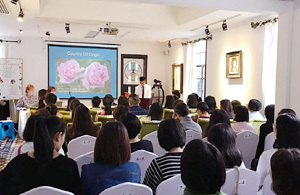 In commerce, the various types of benzoin resin are identified by their country of origin as well as their botanical name, and for oil production there are only really two types commercially available. Styrax benzoin is known as benzoin Sumatra, and Styrax tonkinensis is called benzoin Siam. Due to the low quantities of benzoin oil produced from Styrax tonkinensis together with its demand in the perfumery industry, benzoin Sumatra is the one most commonly available to the aromatherapy market. The warm balsamic fragrance of benzoin resin is familiar to most people, and this ancient aromatic has been used in almost every culture around the world since records began in both incense and medicine. Its medicinal use throughout history is legendary, and the aromatic resin from the tree still remains in high regard within the world of perfumery and medicine. Also known as gum benzoin and gum benjamin, the balsamic resin extracted from Styrax benzoin has been available for centuries in the West, but Sumatra and Indonesia is its natural home. Other Styrax species that are the source of benzoin resin also grow in Cambodia, China, Java, Laos, Malaysia, Thailand and Vietnam. Styrax benzoin is a handsome tropical tree that grows up to 15 metres (50 ft) in height and is covered with a crown of alternate, ovate leaves which are smooth on the upper surface and hoary underside. The tree bears a flat hard-shelled fruit, measuring 2 or 3 centimetres in diameter, and attractive white flowers with 5 petals group in clusters along branches. When incisions are made in the trunk of the tree it exudes a balsamic liquid which solidifies after exposure to air and sunlight, resulting in a reddish-brown gum. The balsamic liquid collects as ‘tears’ beneath the bark or around the incision cuts and although it is known as a gum, it is actually a balsamic resin. 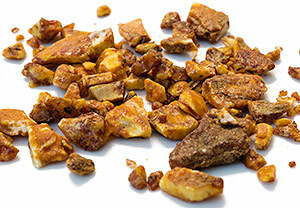 From early records we know benzoin resin was imported by the Chinese and the ancient Egyptians via the Red Sea. Papyrus records indicate that it was ground into powder and mixed with other substances such as pine, juniper, galbanum, cypress and labdanum into incense, and often made into cones that were placed on the heads of Egyptian dancers. Interestingly, the ancient Greeks and Romans did not appear to use benzoin as a medicine, reserving its use predominantly for incense purposes. In the ancient Malayan culture benzoin was used as an incense and fumigation to drive away evil spirits and also for ceremonial purposes. Ancient transcripts show that the Greeks and Romans used benzoin over 2000 years ago, although interestingly they did not appear to use it as a medicine, reserving its use predominantly for incense purposes. The Arab traders called benzoin ‘luban-jawi’ which means ‘incense from Java’. 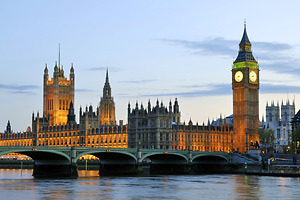 In England its use was first recorded between the 15th and 16th centuries when it was brought over by spice traders and used in powdered form to make dry perfumes, one of which was worn by Queen Elizabeth I. In later years, the medical profession of the day began to expand the boundaries between perfume and medicine and benzoin began to take a more therapeutic role. The resin was burned to relieve bronchitis and coughs, and eventually modified into a tincture that became popular in the apothecaries. This process of cutting the bark of the tree to obtain the crude balsamic resin exudates is called tapping, and is not usually employed until the tree is around seven years old. After tapping, the exudate is left to harden and dry before collection which will be 3 or 4 months later, after which it is sifted and graded. The oil is extracted from the balsamic resin by means of a solvent, and because the resulting resinoid is still too viscous (thick) to work with at this stage, a diluent is added to the resinoid to make it mobile and easier to use. 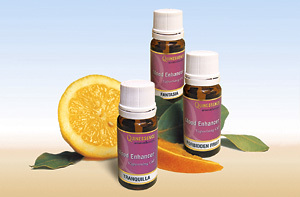 After this process, the oil is technically classed as a resinoid rather than an essential oil. 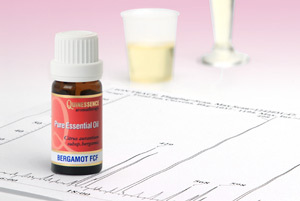 The resulting oil has a balsamic, creamy aroma reminiscent of vanilla due to the presence of a component called vanillin, which also occurs in vanilla. Benzoin resinoid makes a useful addition to blends for all types of circulatory and joint problems including poor circulation, arthritis and rheumatism where it imparts a warming and comforting effect. For the best results with these conditions blend it with essential oils such as black pepper, ginger, juniper berry, lavender, rosemary or sweet marjoram. The expectorant properties of benzoin can be invaluable when used as an inhalation to treat respiratory conditions such as bronchitis, colds and flu. Use it in your vaporiser or on a tissue with other expectorant essential oils such as eucalyptus, frankincense, niaouli, pine and ravensara for the best results. Due to its warm, creamy fragrance and cheering characteristics, benzoin is comforting if you feel anxious, stressed, tense, worried or lonely. Madame Maury summed up the comforting action benzoin has on the emotional system when she wrote ‘This essence creates a kind of euphoria; it interposes a padded zone between us and events’. Benzoin adds a pleasing base note to almost any blend, and works particularly well with bergamot, black pepper, cinnamon, cypress, frankincense, ginger, jasmine, juniper berry, lavender, lemon, marjoram sweet, myrrh, petitgrain, rose, rosemary and sandalwood. Some books recommend using benzoin in creams and lotions for cuts, chapped skin and generally irritated skin conditions, but I recommend extreme caution when using benzoin on broken and sensitised skin. Although benzoin has not previously been considered to have any contra-indications, recently questions regarding sensitisation have been raised. 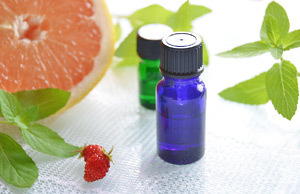 When used as part of a blend with other essential oils however, these risks are much reduced. To be safe, avoid using benzoin in massage oils, creams and lotions on already irritated and sensitised skin. And one final tip – don’t use benzoin in a bath since it usually sinks to the bottom and can stain the plastic or enamel finish of the bathtub! In the ancient Malayan culture benzoin resin was used as an incense for ceremonial purposes as well as for fumigations to drive away evil spirits. 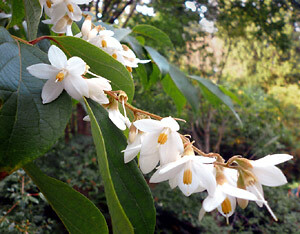 Above: Styrax benzoin flowers in bloom. Origin: Rain forest in Sumatra. During the Great Plague in the seventeenth century, an unnamed medical writer recommended a mixture of spicy drugs and gums to destroy the ‘aura’ or poison of the disease. He included benzoin, frankincense, styrax and all aromatic roots and woods, and ‘such drugs as are from vegetable production, and abound in subtle volatile parts, which are of service to be exhaled into the air’.